As I prepare to work with staff in developing ways to utilise strategies and tools to enhance evaluation, feedback and provide opportunities for students to reflect upon their learning, I have been thinking and reading about how we stifle the critical thinking process. Part of this inquiry led me to think about the way we respond to student work. I watched Eduardo Briceño’s TEDx talk titled “The Power of Belief – Mindset and Success” where he explores the research into growth mindset initiated by Carol Dweck. He explains the crucial role we play in developing growth or fixed mindsets through our responses to student work. Eduardo goes on to explore how we can provide feedback to students that promotes learning as the priority. So this led me to think about how we give students feedback and what effect this has on their learning. I considered the following two typical models. We hand work back to students with a grade. We hand work back to students with a grade and a comment. 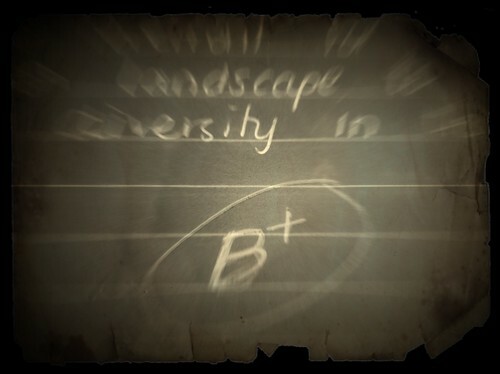 What tends to happen in the first scenario, is that students look at the grade and that is that! The focus is purely on the end mark and not on the process to achieve the grade. If the mark is good, that equates to being successful. If the mark is poor, it means they were unsuccessful. There is no opportunity to reflect upon the effort, the process or opportunities to grow. In the second scenario, students will look at the grade and perhaps read the comment. The student may or may not agree or understand the comment, but I would suggest that very few would ask or respond to the teacher to instigate a process of reflection. We handed work back to students with only a comment, then what? Would this engage students in thinking deeper about their work? Would it promote a dialogue between teacher and student about what they did well and what they could do to improve next time? What if we hand work back to students with comments and then asked that they respond to the comment by improving their work? Would that focus the attention on the learning process. Would it promote a dialogue and understanding of where the student is at and where they should be heading? Here is Garfield Gini-Newman from the University of Toronto explaining this last concept in regards to the value of feedback in for students at university. I think providing these sorts of opportunities would go a long way to developing students and teachers to have learning as the focus, a growth mindset and assessment that informs learning. This of course is assuming that the comments provided by the teacher are fair, constructive and specific (that’s for another post).